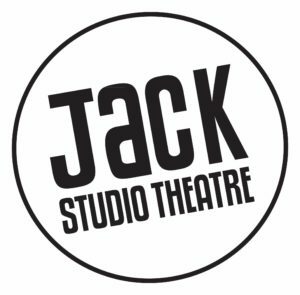 Arrows and Traps Theatre offers more historical new writing with ‘Taro’, being performed hand in hand with ‘Gentleman Jack’. Their latest dramaturgic slant explores the radical lives of remarkable women whose stories deserve to be celebrated. ‘Taro’ tells of Gerta Pohorylle who breaks out of her Jewish background and defies gender roles when, in 1934, she moves from Leipzig to Paris to escape German anti-semitism and meets Endre Friedmann, a young Hungarian photographer. They form an exhilarating bond. He teaches her photography, she provides contacts through her job at Alliance Photo. They decide to improve their professional opportunities by obscuring their roots and creating the ambiguous name, Robert Capa (borrowed as it sounded similar to film director, Frank Capra and also Friedmann’s Budapest street nickname was “Cápa” which means “Shark” in Hungarian) under which they both work. Gerta changes her name to Gerda Taro, a combination of the icon Greta Garbo and the Japanese artist Tarō Okamoto, and eventually they travel to Spain to capture the atrocities of the civil war. There she is killed at the age of 26, becoming a pioneer of photojournalism as well as martyr for the socialist cause. Writer and director, Ross McGregor, reflects their intertwining identities and the influence of cinema in their names as a film being made through the eyes of Taro. Accompanied by her favourite film star, she watches herself, commenting on and explaining her own story. The cast move dexterously round the stage forming and reforming as family, friends and colleagues, changing scenery and costumes but it is this meandering action which blurs rather than clarifies the mesh of people and events. On the few occasions where emotions rise, the tension is cut short by Garbo’s quips and we are unable to fully engage with the characters. Lucy Ioannou gives a sensitive performance as Gerda complementing Cornelia Baumann’s strong, spirited Gerta, in particular, the heartfelt outburst at her disillusion with Endre’s unreliable nature. Tom Hartill plays the volatile Friedmann, charming the audience with his openness and we enjoy a refreshingly grounded portrayal of Gerta’s friend Ruth, by Laurel Marks. 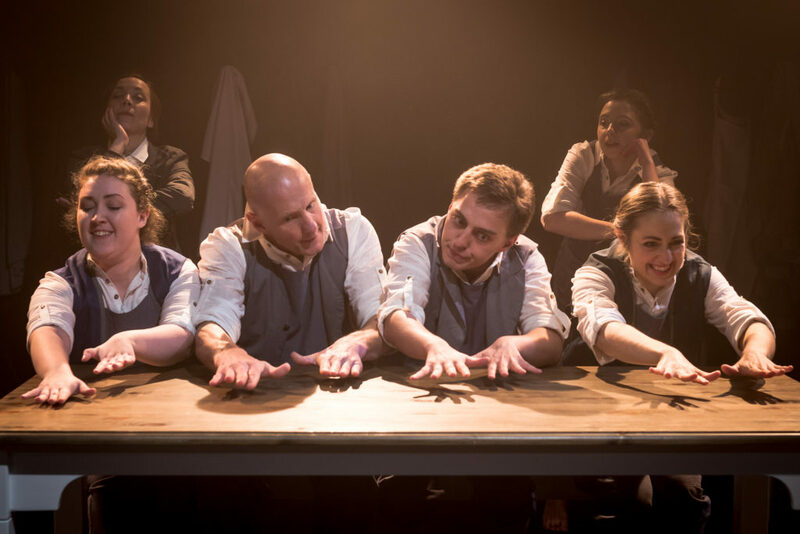 The lighting (Ben Jacobs) nurtures the space and atmosphere and there are other striking stylistic similarities with the company’s earlier production of ‘The White Rose’. With the incorporation of expressive movement, tableaux, background mime and the red coat standing out against the grey costumes… possibly a recurring motif… McGregor is establishing an artistic hallmark. For those less familiar with Capa’s work, to see some of his images (presumably protected by copyright) would have been impacting but there seemed to be an attempt to restructure one of the civil war photos. Maybe more, but if one is unlucky enough to have a side-facing seat, the view of the staging is notably restricted. The members of Arrows and Traps have generated a winning formula – interesting and original writing, pleasing to the eye, some truly moving moments and a beautifully clever and poignant ending. In 1880, aspiring politician John Lister (Alex Stevens) discovers a collection of diaries written and encoded by a distant relation. 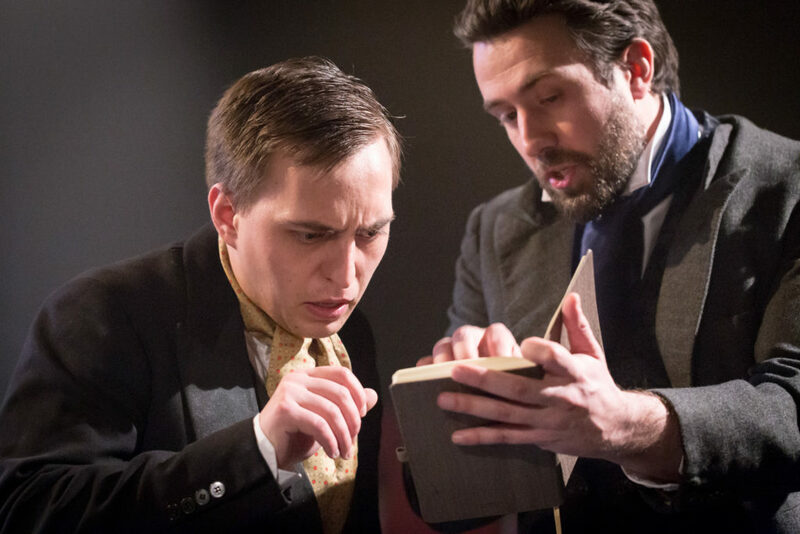 But when he and his friend Arthur (Tom Hartill) set about deciphering them, the author could not contrast more sharply with their expectations. Anne Lister was known as “Gentleman Jack”: a coal mine owner, an adventurer, an unabashed chronicler of her affairs with women. Back then, she was an eccentric; today, she is known as ‘the first modern lesbian’. Given her place in British LGBT history, it would be easy to romanticise or simplify Lister’s story. But Arrows and Traps’ adaptation of her diaries balances its positive and negative aspects to great effect. Skipping between her youth and the last decade of her life, writer/director Ross McGregor shows Anne’s intelligence and tenacity: she is fluent in Ancient Greek, well-travelled, and extremely determined. But he also highlights the practical dilemmas she faces, such as debt, and the aggressive single-mindedness that inhibits her progress. Her wit, confidence, and kindness are emphasised alongside her coldness and cruelty towards the women she loves. Anne is not a saintly hero who triumphs, through sheer force of will, over her male detractors: she is highly complex, succeeding and failing in equal measure, but always learning from her mistakes. McGregor’s script is well-structured and effectively shows Anne’s development from a brash idealist into a serious businesswoman. The frequent change of time period is shown via backscreen projections, whilst the set is simple and versatile enough to work for any era. A long table quite easily becomes a bed or hill; Alistair Lax’s subtle use of sound provides a sense of atmosphere. This allows the scenes to feel real without being overdone, and draws all the focus onto the actors. Lucy Ioannou plays the young Anne with confidence and flair, investing scenes with humour and energy. Cornelia Baumann, as her older counterpart, shows the same flair, but also provides a sense of maturity and warmth. Despite their differences, the two Anne’s match each other well and are very believably the same person. Of the supporting cast, Laurel Marks’ Tib Norcliffe is a highlight. Marks is both naturally funny and adept at showing Tib’s hidden depths, making her a well-rounded character as opposed to mere comic relief. Hannah Victory’s grounded performance as Ann Walker is a great contrast to Baumann’s; Alex Stevens’ sensitive readings from Anne’s diaries highlight her talent as a writer. It is only fitting that a woman who was so open and outspoken should be portrayed in such an uncensored way. Gentleman Jack more than does justice to Anne Lister, and serves as a reminder of her extraordinary legacy, bold character and, ultimately, her humanity.